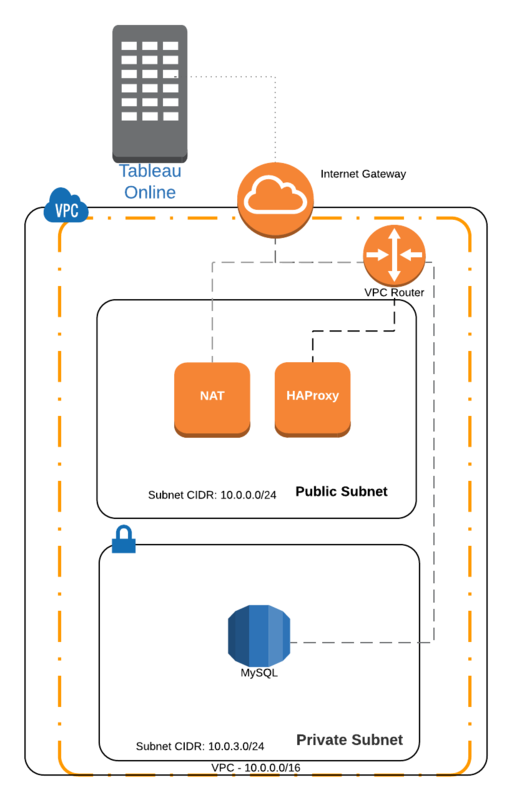 For those running cloud databases in AWS, a common enough design pattern is to deploy the database to a private subnet of your VPC or set the Publicly Available option to “No”. When you go this route, life gets a little bit more difficult from a Tableau point of view. 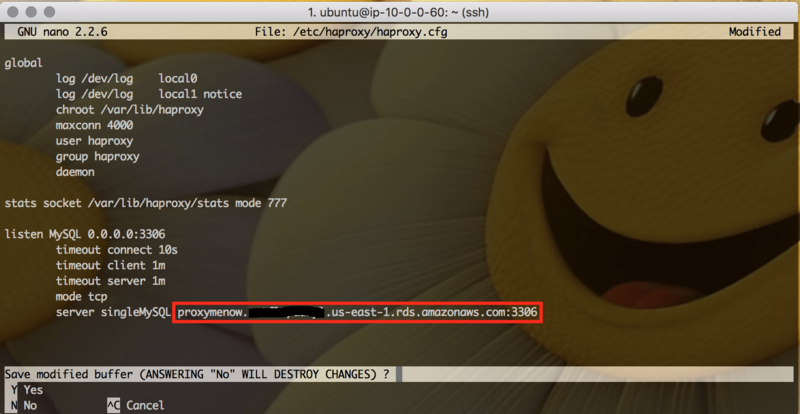 A standard solution for connectivity is to use a combination of SSH tunneling and port forwarding to connect to that private database of yours. A good example of this technique can be found on the Periscope blog. Publishing can be somewhat tricky too. 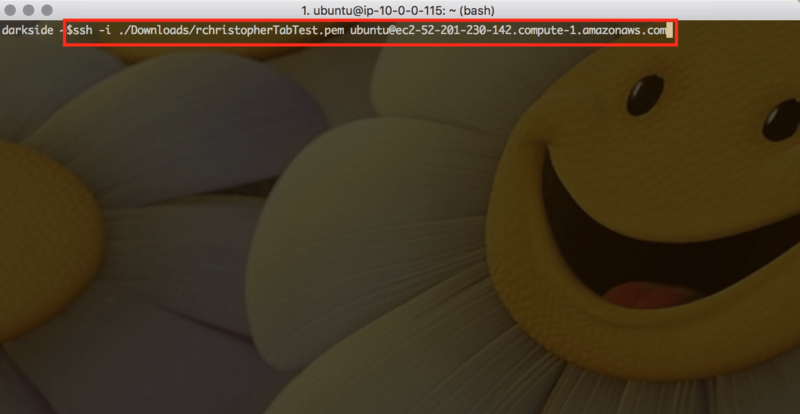 If you “own” the Tableau Server and can run a permanent-ish SSH session against a bastion in your public subnet, you’ll be in good shape. 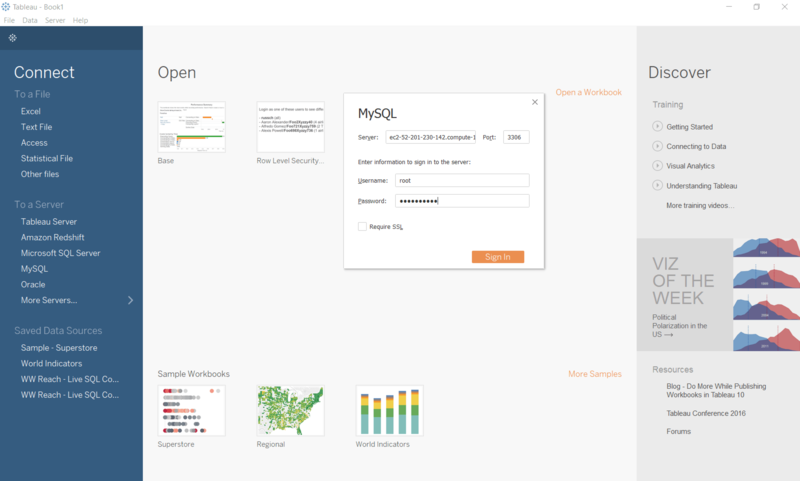 What about Tableau Online, though? No joy. 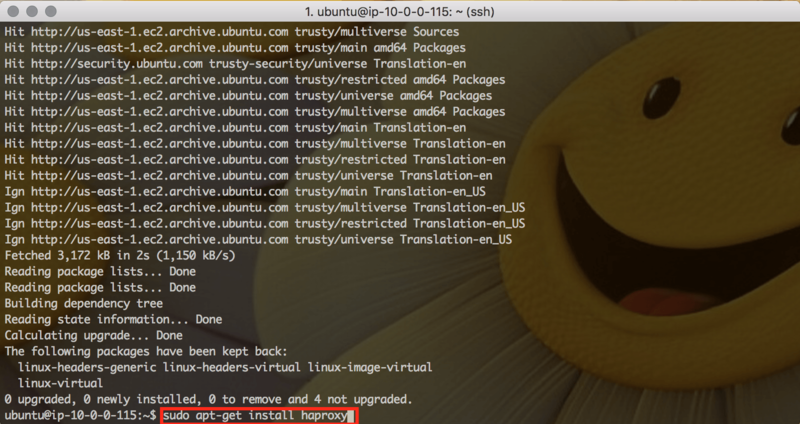 Tableau Online can’t do SSH tunneling to an arbitrary SSH server on your behalf. As I mentioned, we’re not going to build out your network infrastructure here. You should have a public subnet and a private subnet, and resources in each should be able to talk. 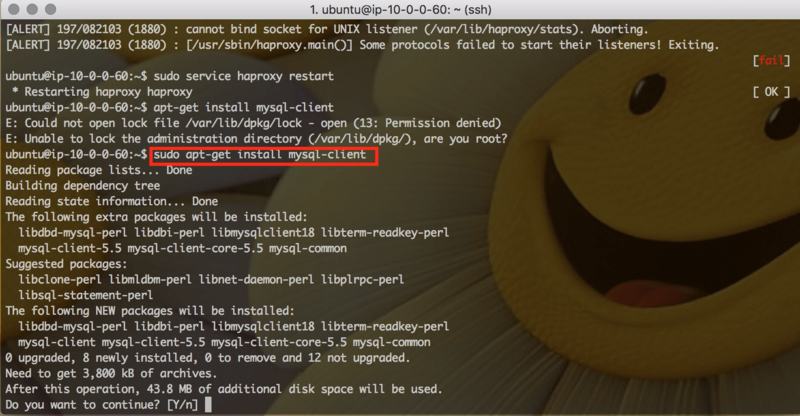 In my scenario, I’m running a small instance of MySQL in a private subnet, and it is not publicly accessible. Remember that network throughput is fairly important here. Make sure you choose an instance with good enough network performance. I’m frankly not sure if a t2 qualifies as “good enough” since I don’t know your needs. You’ll need to experiment a bit. I went with a t2.medium for no real reason. Yes, I just did the opposite of what I advised you to by not using a size with Moderate and/or High network performance. Do as I say, not as a I do. 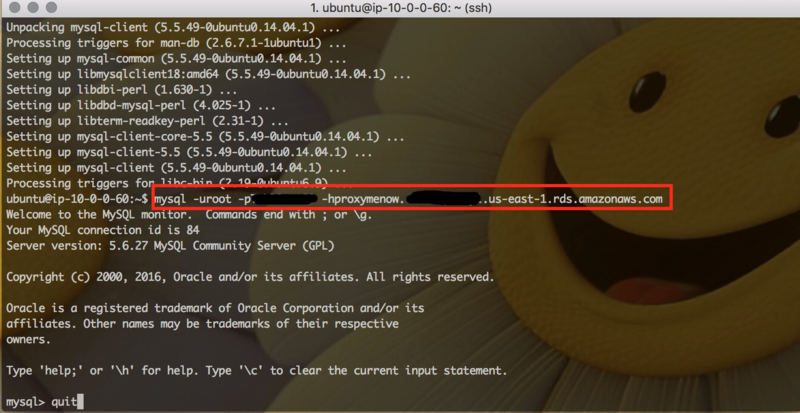 Since this instance is going to act as a proxy for MySQL, I’ll need to be able to receive requests on port 3306. If you use a different database, you’ll replace 3306 with the appropriate port. 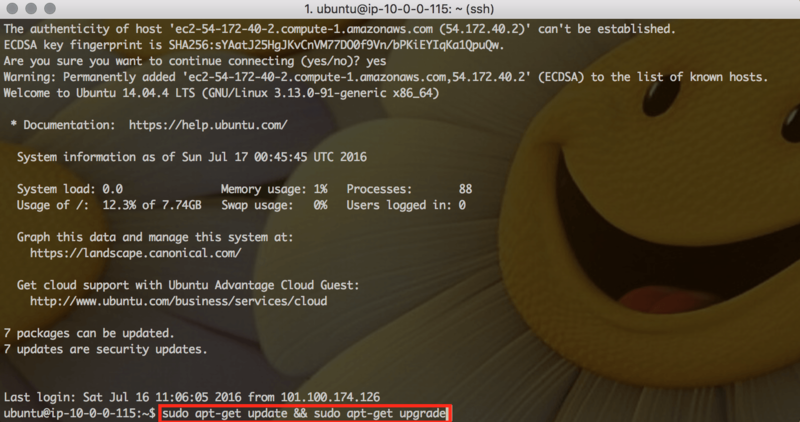 Modify your security group and open up that port. Below I’m being very lazy by choosing “Anywhere” (0.0.0.0/0). 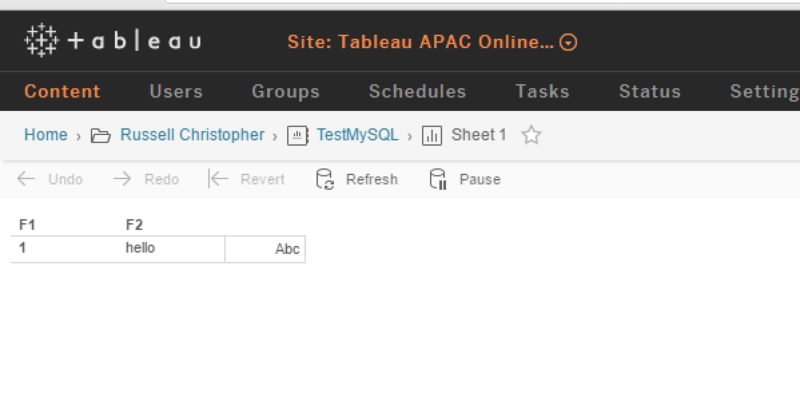 You should choose to accept connections only from Tableau Online and other trusted clients…so be a bit more selective than I am. Note that I haven’t bothered to create and associate an Elastic IP Address with this instance. If I were going to use this solution long term, I probably would since the public IP address (and therefore the public DNS hostname) could change if I stop/start the instance. That would play havoc with my Tableau data source as I’d essentially be changing the name of the database host. After you’ve made your changes CTRL-X to save. 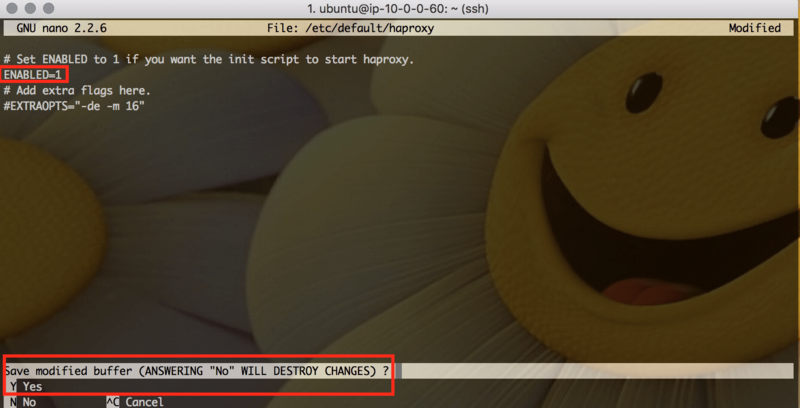 Next, we need to edit the config file for HAProxy. 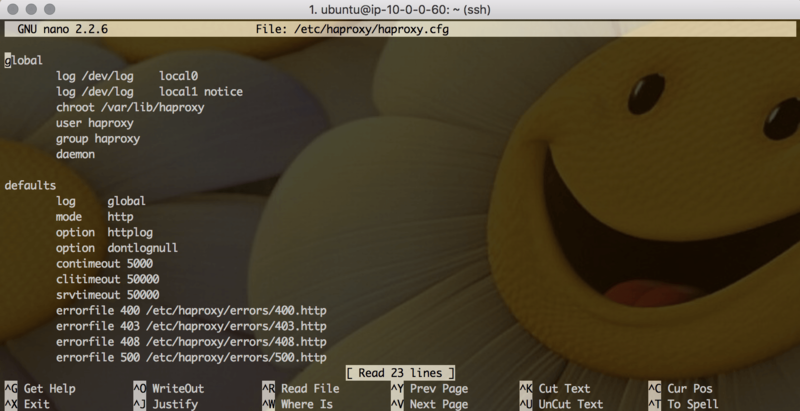 Open /etc/haproxy/haproxy.cfg with nano. The unmodified file will look like what you see below. Delete everything you see and add the text under the screenshot. 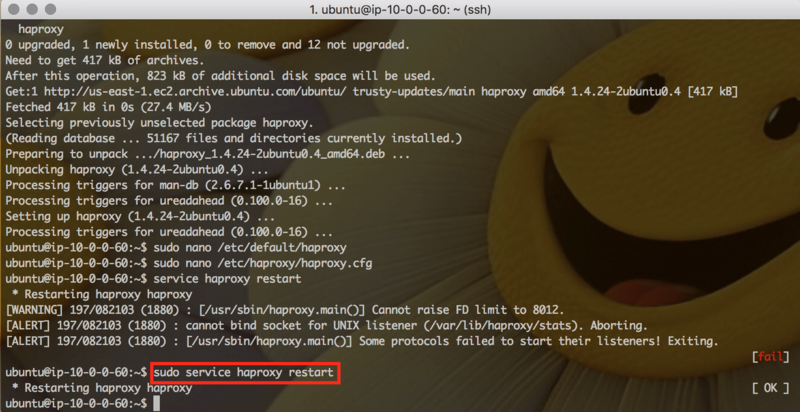 The config file instructs HAProxy to listen for connections on 3306 and proxy them to the MySQL endpoint. 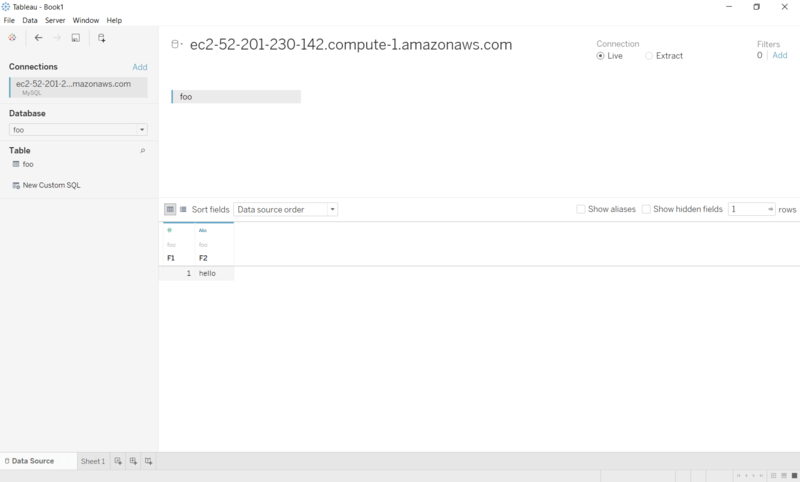 You will modify the the port to listen on (line 12) and the endpoint:port to forward to (line 17) based on the database type you’re dealing with and the values you see in your RDS/Redshift console. 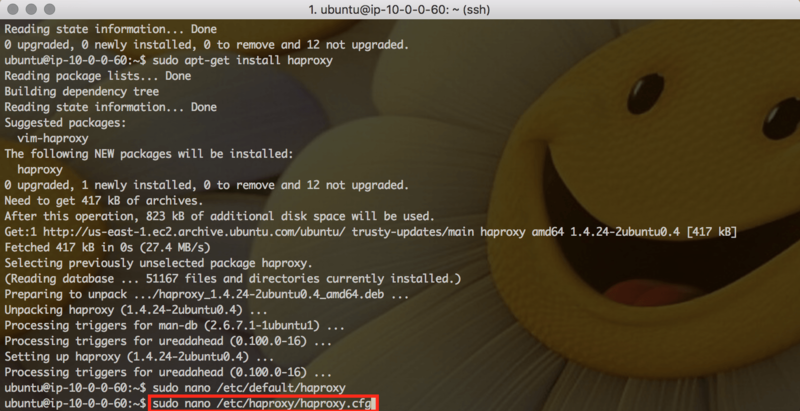 Haproxy will not autostart if the machine is bounced. I should probably follow some guidance from here to make sure that happens. But since this is just a POC, I won’t bother. Works. 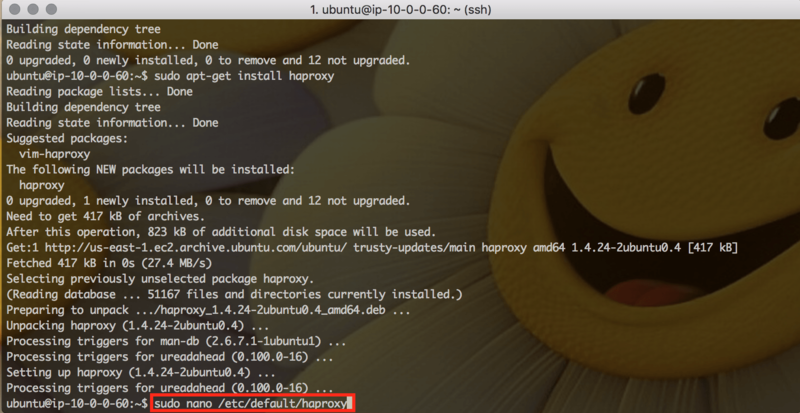 If I wanted to, I could now test things by trying to connect to the proxy and make sure the request gets forwarded…but I want to swing for the fences. SSL.. We should be using it here (after all, the database is probably private for a reason and we’re giving up our tunnel). I’m not because threw up my RDS without thinking.